We’ve got a few long travel days ahead of us, which means early wake up calls. 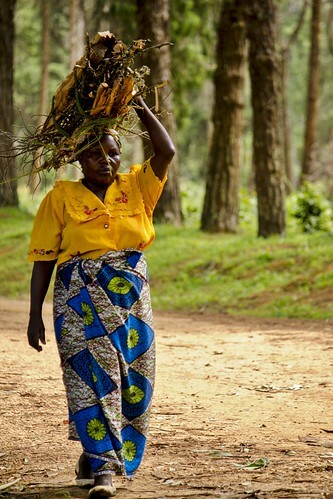 This morning we cross out of Malawi into Tanzania. I am almost finished with Nelson Mandela’s autobiography and I am struck by the enormity of personal sacrifice. Intellectually, I can appreciate the need for personal sacrifices in the face of strong convictions. But emotionally, I’ve always been leveled by exactly how much sacrifice is often required. One of Mandela’s most touching sentiments was that while his sacrifice was easy to recognize (nearly three decades in jail, he missed his youngest daughters growing up, wasn’t able to attend his son’s or mother’s funeral, etc. ), he felt that sacrifices and the challenges that his family faced as a result of his convictions (and theirs) were likely greater. I feel very humbled by these ideas. We make it to camp as the sun is going down. 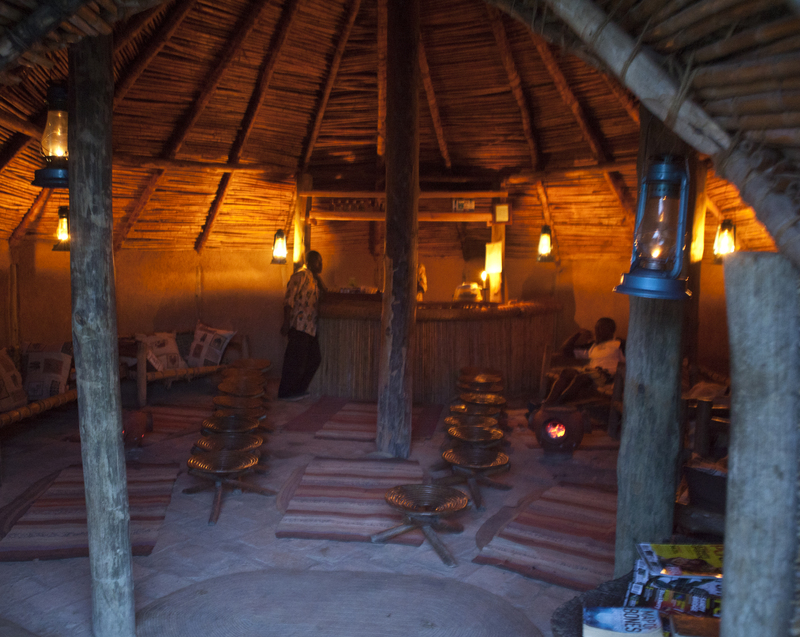 We had a saying in my old job, “The nicer the place, the shorter the stay.” And our campsite at the Old Farmhouse in Iringa, Tanzania was no exception to this rule. The bathrooms and showers were some of the loveliest we had all trip. We had a delicious dinner in the restaurant there and drinks and dessert in the cozy bar hut, which was warmed by terracotta pots filled with hot charcoal. But we’d leave before the sun rose. As I got ready for bed that night, I walked down the dark down the path to the bathroom with the help of my headlamp. As I shined my light into the thick vegetation all around, I saw, some distance in front of me, two very distinct eyes glowing back at me in the darkness. In the back of my head, I remembered what our driver Barry had told us at the campsite in Elephant Sands: Before you get up in middle of the night to go to the bathroom, shine your light around and if you see eyes glowing back, get back in your tent because it could be a leopard. I sprinted back to the overland truck where Mazza was still busy preparing breakfast burritos for our super early departure the next morning. Yes, that’s true it could have been a dog. I had seen many dogs around camp that night. And the eyes didn’t look that big or that far apart. It was probably a dog. I was still sufficiently shaken from my “near” encounter that I made Nellu walk me back down the path to brush my teeth. Also important to note, running away from the eyes, as Mazza later explained, was the single worst thing I could have done. “Once you start running,” she said. “You become prey.” Good to know. We’re up way before the sun rose this morning. It’s odd to be in the truckbus while it’s still dark. And it’s quite cold. I bust out my hat and gloves and attempt to go back to sleep. The reason for our early departure is that we’ll be making our way into Dar es Salam, the largest, one of the most chaotic, and possibly one of the most dangerous cities in Tanzania, whose name ironically means “abode of peace.” A lot can go wrong when trying to get through the city, we’re told. Apparently, like many of our border crossings, traversing the city can take a short time or a long time depending on the traffic or if a truck gets stuck and blocks the one road we need to take to get there. When we hit the city around mid afternoon, traffic is busy but moving. We’re looking good until we turn off one of the main roads to head for camp. And there it is – Mazza and Raymond could not have predicted the situation more clearly – one big oil tanker stuck in the massive drainage ditches on either side of the road, blocking the road so no one can get across. Of course, this is the only road we can take to get to camp. Mazza and a security detail consisting of Nellu and Bob go out to assess the situation and come back with grim news. It could take anywhere from hours to a day to get the stuck truck out of the way. But Mazza comes up with Plan B in an impressively short amount of time. She calls for help and arranges for another overland truck to come pick us up. So we pack up all our gear and walk down to the stuck truck where we take turns sliding our belongings and ourselves underneath the tank. Raymond stays behind with our overland truck. We walk some distance up the hill on the other side and pass a line of cars to promptly meet the other truck. But this story has a happy ending for Raymond too. 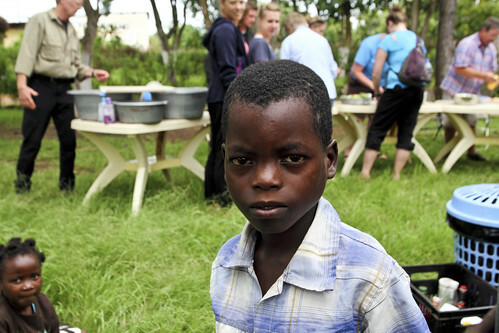 A few hours after we arrive in camp, just as we’re sitting down to eat, Raymond triumphantly appears. He took a picture of the stuck truck on his phone and used it to convince the normally reluctant ferry operators to take him to the other side. Well done overland team, well done. 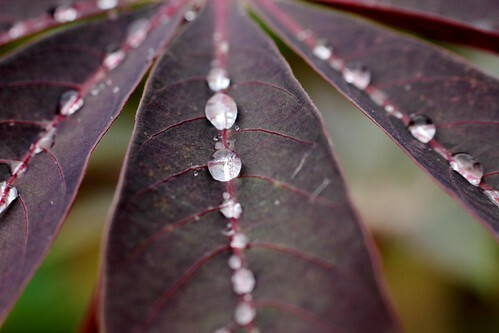 Photo by Chloe Stucki. 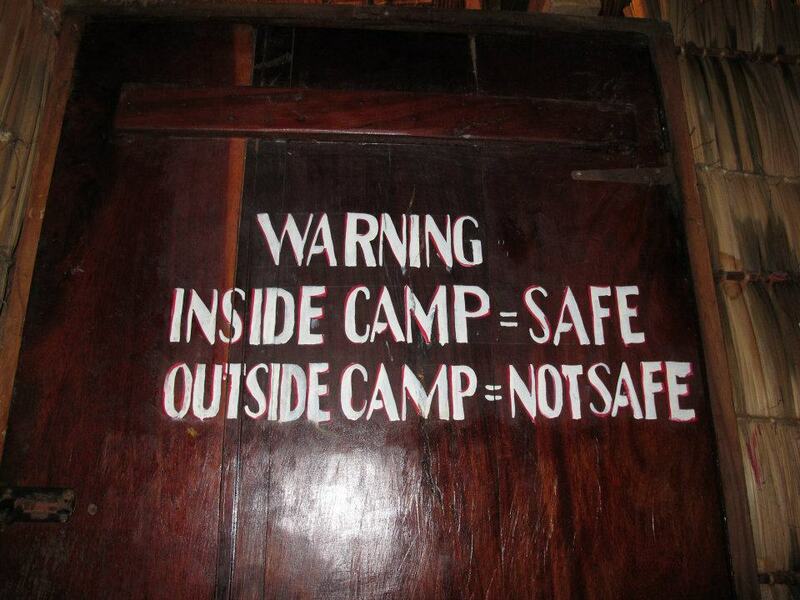 Warning sign in the bathrooms of our Dar es Salam camp. We enter Malawi today. The only thing I knew about Malawi before this trip is that Madonna adopted two children from here and at least one of those was under dubious circumstances. 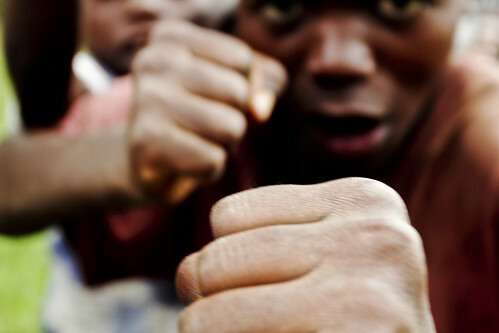 Madonna aside, Malawi is an intriguing place. Apparently, they have no reliable system of foreign exchange, which makes their money, the Malawian Kwacha, worthless outside its borders. It also enables foreigners to trade-in U.S dollars for a solid premium – well above what you’d be able to get from a bank. Additionally, they have a serious fuel problem. Drivers park their cars in lines leading up to gas pumps and wait for days for a fuel delivery. 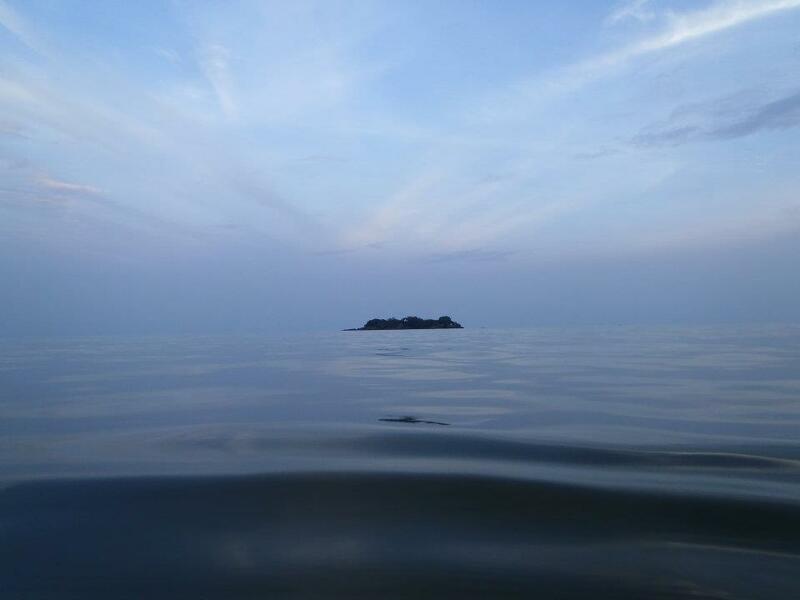 Malawi also has a very big lake. It’s called Lake Malawi in Malawi and Lake Nyasa in the other countries that maintain some claim to its waters (Tanzania, Mozambique). This lake is so big it takes up one-fifth of Malawi. This lake is so big it looks like an ocean. It’s a fresh water lake, which makes it feel like a curious fresh-water ocean. Except there are no waves. On many days, the lake is so calm it looks like glass. We’ll spend the next couple of days on the banks of Lake Malawi. 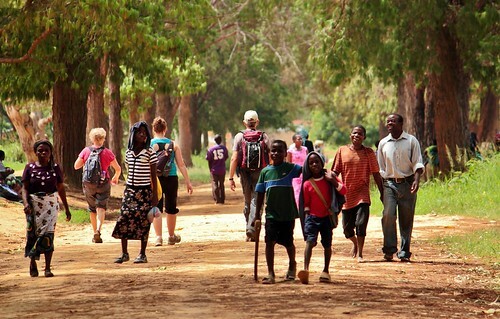 We camp for two nights at a site in Kande Beach, which gives us time to tour the local village. 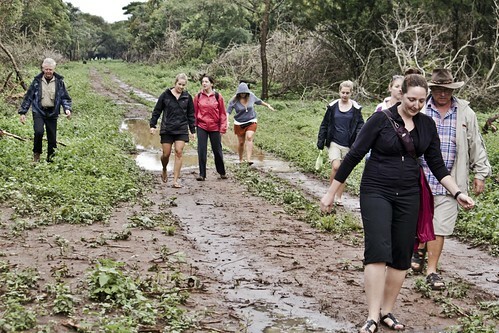 It’s an organzied tour where a guide from the town meets us at the camp gate and takes our group around. 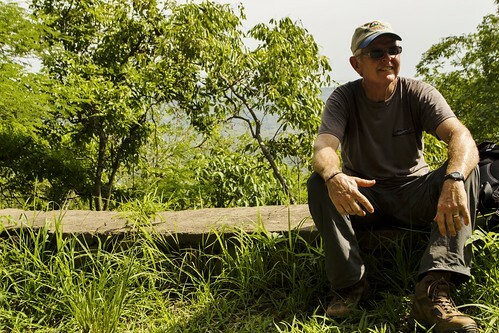 He tells us about the staple crop cassava (how it’s grown, how it’s used to make food). We go to his house where he explains life at the village, then we visit both the hospital and school. Ever time I felt conspicuous about our tour, I tried to remember that strangers visit my city too. But what’s interesting about this tour is that at least two young men in their late teens and early 20s, flank each member of our group as we move from place to place. These guys talk us up as we walk through the village but then retreat respectfully when we go into buildings or when our guide has something to explain. 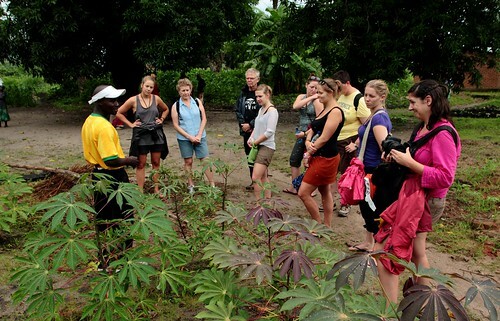 Our guide explains how the cassava plant is farmed. Photo by Nellu. I’m happy to say that on this leg of the trip, we’ve gotten much more opportunity to interact with the locals. It was beginning to feel like we were seeing Africa through an aquarium glass where we are the fish looking out on the real world through our truckbus tank. Of the two guys that followed me for the half-day tour, I am embarrassed to say I can only remember the name of the one who did not give me his real name. He preferred to go by Mr. Fabulous, a nom de plume of sorts for the tourists. 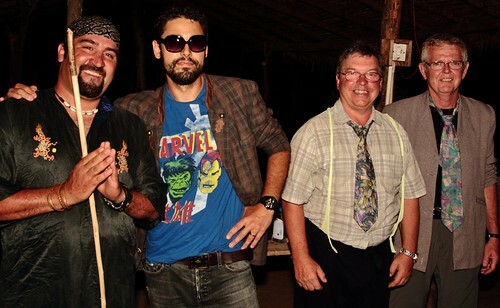 (Many of the guys in Malawi introduced themselves by these kind of names or the names of celebrities – George Clooney, Malawian Justin Beiber, etc. Nellu remembers suggesting to one guy who introduced himself as Vegemite, “You should go by Nutella. Not everyone likes Vegemite. Everyone loves Nutella.”) For most of the day, we just chit-chatted. They would casually try to convince me to buy things, wooden key chains or other trinkets, but it never got aggressive. It was actually quite pleasant and I enjoyed our conversations. I felt an odd tension through most of Africa because it was very clear that I (we) have so much more comfort, money, and just plain things than the average African. But after recognizing that, where does that leave us? In casual conversations, our group has been talking a lot over the last couple days about the nature of aid in Africa. We have more, so we should give, right? 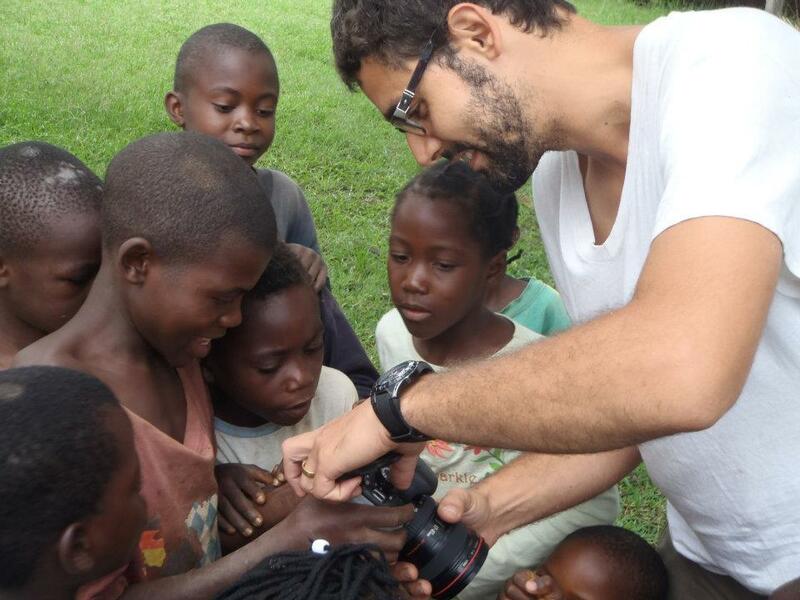 There is need (poverty, health issues, education concerns) in Africa, so we should give, right? But if we give money, will it create dependency? Will it stunt home-grown entrepreneurship? If we give money, will the people who need it, receive it? What if we give things, will they be the right things? If we build, will it be the right buildings? 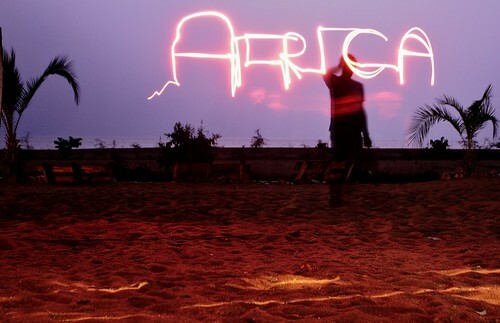 Does Africa even want or need our help? 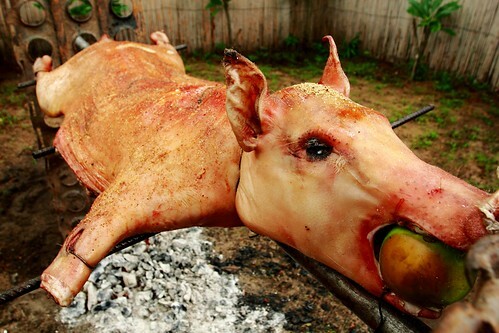 While we were on our village tour, a few guys from town spent they day roasting a pig for us for dinner. It’s not every day that you get fresh roasted pig. We move up-lake from Kande Beach to Chitimba. 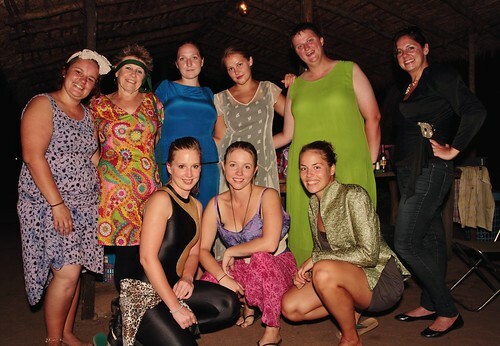 On our short drive we stop at the markets in Mzuzu and buy second-hand clothes for a dress-up party we are planning for the evening. 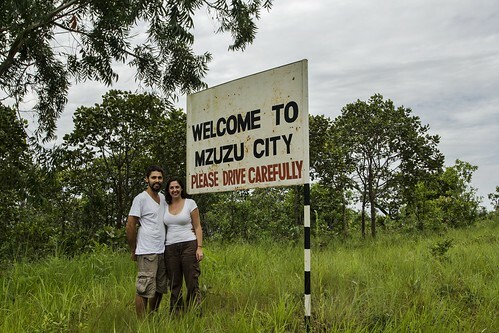 Nellu and I pose by the Mzuzu sign. The men – all class acts. There was also an amazing storm that nigh that hit just soon after we headed to the bar. Nellu had some fun with the dramatic sky. 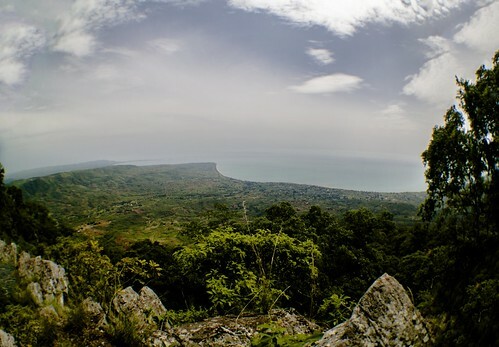 The other thing to do in Chitimba besides dress up is a 32 km hike from camp to a town on top of a nearby hill/mountain called Livingstonia. 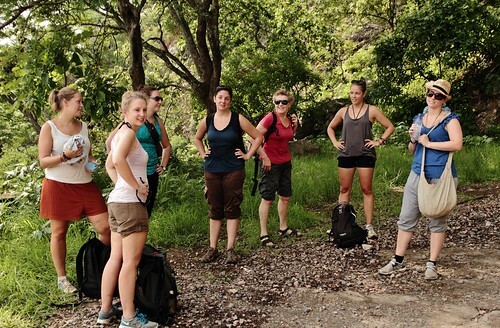 We were warned by Maretha and Raymond, our trek parents, that this would indeed be a long hike. Apparrently they both tried it, underestimating the time and supplies they would need to do it. Taking their advice, we went prepared. I don’t know if I’ve ever really walked 32 km in a day (nearly 20 miles) let alone 32 km up hill both ways (just kidding). But if other people had done it before, then it could be done. We packed a lunch and plenty of water. The hike up took us most of the day, but the way down was easy. We even got up the courage to take some of the short cuts the locals take every day – many of them barefoot through steep, rocky pathways with heavy loads on their heads. They must look at us huffing and puffing with our bottles of water and trekking gear on and think we’re crazy. We arrived back at camp just before 5pm. My feet were quite sore. I took my shoes off right away and went straight to the beach to take a much needed dip in Lake Malawi. The calm cool water feels amazing after a long day of walking. For the rest of the night my stride had what Raymond refered to as a “soft step” to it. Oh and I mentioned earlier that Maretha adds nice touches to our meal time rituals. What I didn’t mention, and clearly should have been the lede sentence, is that she’s an amazing cook. She does things to food on a campsite that most people couldn’t do in a full, decked-out chef’s kitchen. We had unbelievably sophisticated, multi-course meals while Maretha was in charge. We’re talking about full servings of fruits and vegetables, homemade breads, muffins and more! And while we were on our hike, she spent the day roasting chickens in the ground for a full feast. We leave Livingstone and get back on the road. There’s just 11 of us from our original group and we’ve gained 3 more people from a tour that came up the west coast of South Africa starting in Cape Town. The 11 of us on the trek from Johannesburg have really started to settle into a groove so it will be interesting to see how the new three change the group dynamic. We’ve also got a new guide, Maretha (or Mazza), and a new driver, Raymond. Both Maretha and Raymond will be with us for the rest of or days on the road. It’s oddly reassuring to have stable “parents” for the rest of the trip. We pack up our tents in light rain. This is the first morning it’s been raining since we’ve been on the road, which is nice because technically it’s the wet season. Camping in sunny weather is one thing. 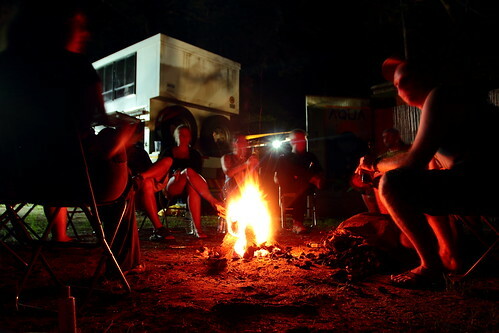 Camping in the midst of torrential downpours is totally different. We make our usual, almost daily stop for supplies. Our tour provides most of our meals, but for water, snacks and beer, we’re on our own. 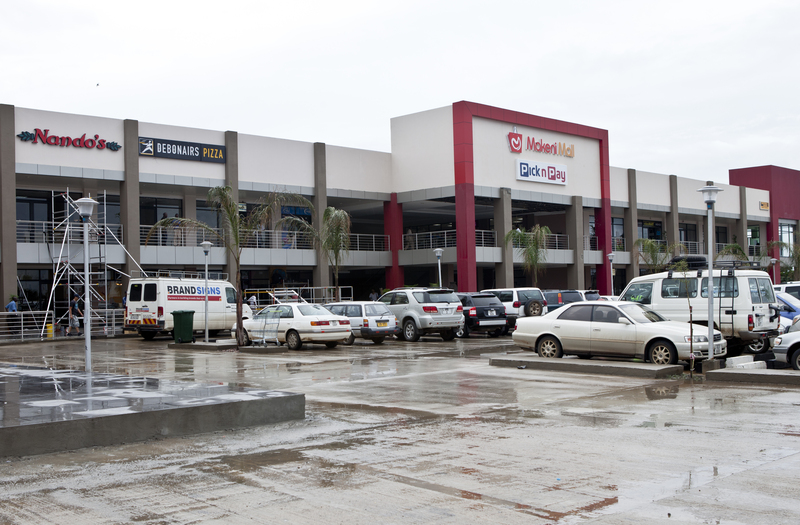 Most of the places we’ve stopped along the way so far have been modern supermarkets – right in the middle of strip malls. Not what I thought we’d see in Africa at all but I guess perceptions are made to be broken. There’s a game park next to our campsite for the night. 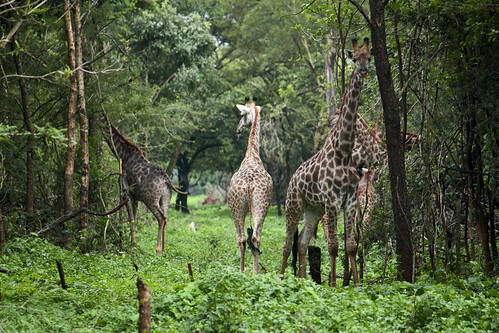 We here there is a family of giraffes with a baby giraffe in the area. 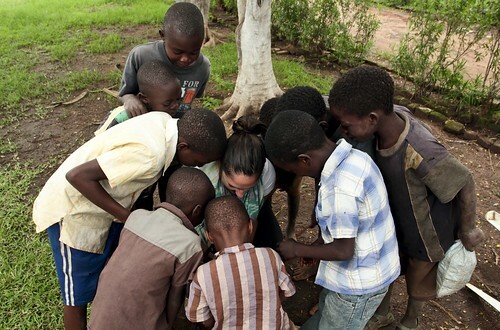 We see the family from a far and after tiptoeing around some muddy paths, we get pretty close to them. It’s surreal being on foot so close to exotic animals. It’s very Jurassic Park. We park for lunch at a rest stop off the main drag today. About a dozen local kids see our truck pull in and come running. The set up for lunch for 16 people is by nature quite elaborate. We pull out the folding chairs, tables, plates and utensils. We have bins for washing our hands and bins for washing dishes as well as all the food and food prep materials. And Mazza adds nice touches to our meal time rituals with a table cloth and plant. It must be an odd show for the kids – all of us arriving in this big truckbus, jumping out for lunch, and then just as quickly packing up to go. The kids just stand by the edge of the road and watch but do not cross an invisible line. It’s only when people from our group approach them with cameras that the fun begins. First the kids pose, many of them striking defensive stances with fists toward the camera or something out of martial arts film. Then they come in to look at the digital images and laugh at each other on the screen. 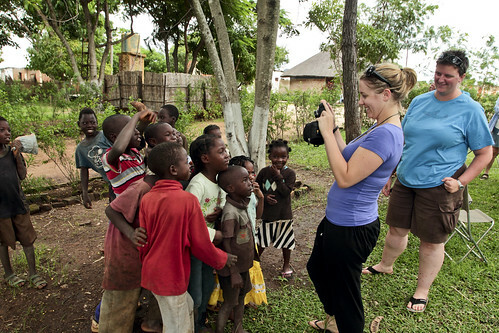 And then, the kids want to try to take pictures themselves. Thanks to Claire Walton for the photo. One of the pictures the kids took with Nellu's camera.